Dr. In Channy,President & Group Managing Director of ACLEDA Bank Plc. 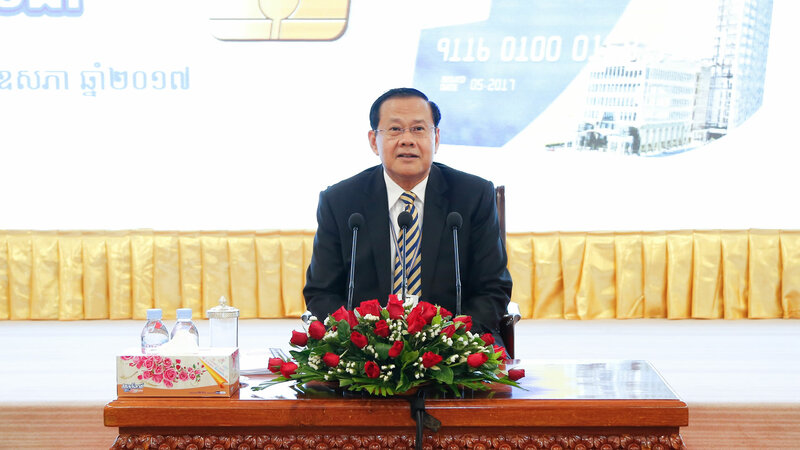 Phnom Penh, May 26, 2017, ACLEDA Bank Plc., the leading commercial bank for all sectors in Cambodia, announced today that ACLEDA Bank Plc. migrates its ATM Magnetic Stripe Card to ATM EMV Chip Card. Dr. In Channy,President & Group Managing Director of ACLEDA Bank Plc., said that with the rapidly growing of banking technology and highly security requirement, ACLEDA Bank Plc. 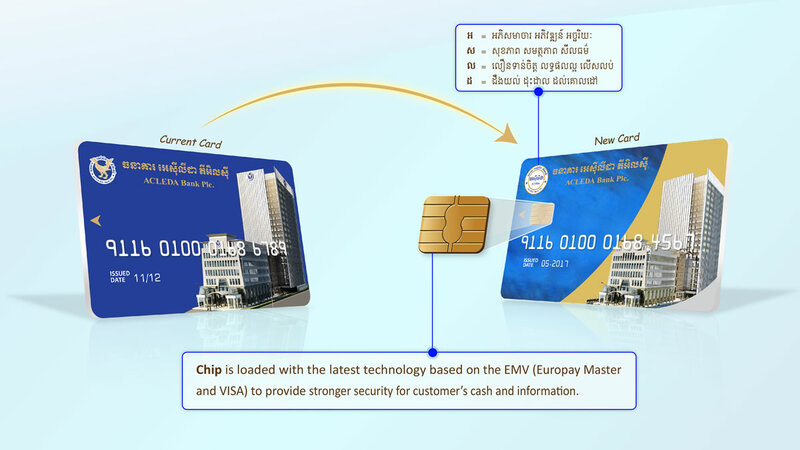 decided to migrate its ATM Magnetic Stripe Card to ATM Chip Card with EMV (abbreviation of Europay, MasterCard® and Visa®) Chip technology, embedded microprocessor chips that is an evolution in our payment system to store and protect cardholder data. It means that this ATM EMV Chip Card equips with strong security, risk mitigation in card-present fraud and enable the use of future value-added applications, and global integration. He added that currently ACLEDA Bank Plc. 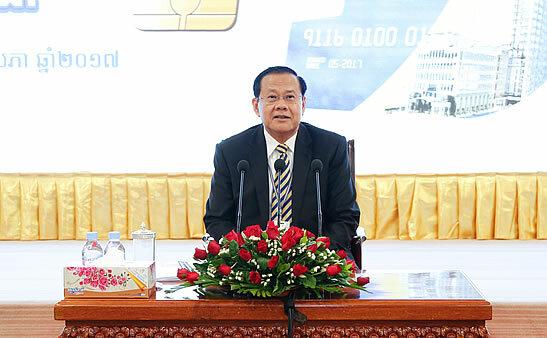 has issued nearly 800,000 ATM Magnetic Stripe Cards which will be replaced by new ATM EMV Chip Cards. 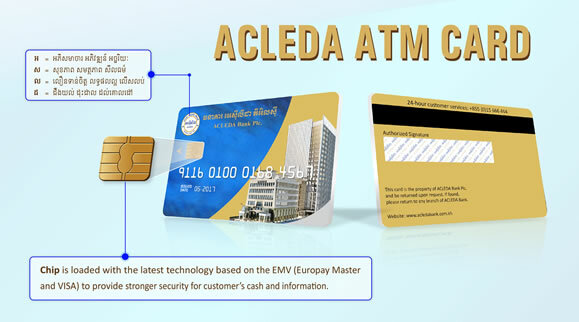 All value customers may contact the nearest ACLEDA Bank Plc. branches or offices for ATM EMV Chip Cards replacement from today onward. 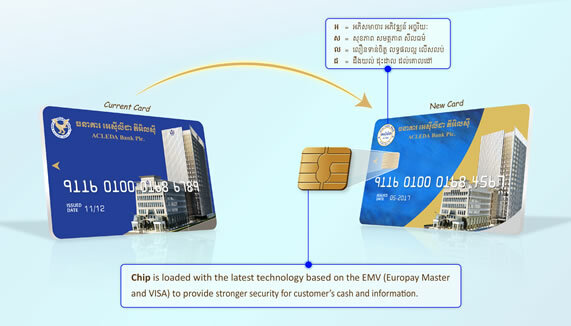 These new ATM EMV chip cards can be accessed at all branches and offices, nearly 400 ATMs and 4,000 POSs at any locations with ACLEDA Bank Gold Dot Signs such as supermarkets, universities, hotels, companies, bookstores, etc., in order to perform business/ payment transactions such as purchase good/service, deposits, cash withdrawals, bill payment, phone top-up, checking account balance, etc. ACLEDA Bank Plc. has sustainably providing financial products and services for more 24 years for all segment of the community – both private and public throughout Cambodia, and via electronic infrastructure network globally. At the end of April 30th, 2017, ACLEDA Bank Plc. had 12,329 staffs working in 260 offices nationwide. It had total assets of USD4,820 million, loan outstanding USD2,804 million, and deposit USD3,227 million. It has 5 subsidiaries which are ACLEDA Bank Lao Ltd., ACLEDA Securities Plc., ACLEDA Institute of Business, ACLEDA Properties Ltd., and ACLEDA MFI Myanmar Co., Ltd. and has one representative office in Myanmar. And strategically, ACLEDA Bank Plc. is in the partnership with Japanese Bank, Sumitomo Mitsui Banking Corporation (SMBC), British Life Assurance Company, Prudential (Cambodia) Life Assurance Plc. ; FORTE (Forte Insurance Cambodia) Plc. and others. It has almost 400 correspondent bank partners with their branches around the globe.